If you are looking for Mississauga condos for sale or want to sell your condo, our team can help you! There is a growing demand for Mississauga condos.We are seeing a lot of activity from people looking to buy or sell Mississauga condos. The demand for Mississauga condos is fuelled by first time buyers, investors looking for a good rental market, seniors looking to downsize, parents looking to help adult children get a foot in the GTA housing market, newcomers; out of town students and corporate employees looking for affordable rentals. Many people continue to feel priced out of resale homes due to limited inventory and price bidding wars. There are not many new single home developments coming up in Mississauga, due to lack of available land for residential construction. Besides, with the new mortgage rules, many first time buyers are priced out of detached home category. They are now focusing on Mississauga condos for sale. This also means good news for existing owners looking to sell Mississauga condo. Mississauga condos for sale are far more affordable than Toronto condos, and many people who work in Toronto, prefer to live in Mississauga condos, as there is a great connectivity thanks to GO Transit. On an average, a 1-bedroom condo in downtown Toronto can sell for approximately $100,000 more than comparable downtown Mississauga condos. All of these reasons re-reinforce buyer confidence in investing in Mississauga condos. Mississauga condos come in many shapes & sizes, including two and three storey condo townhouses, high rise apartments & lofts, low rise boutique style condo apartments, stacked townhouses, podium or ground level townhouses in high rise condo buildings. There is also always the option of buying resale condos or builder new condos. Square One condos are most sought after when it comes to popularity. 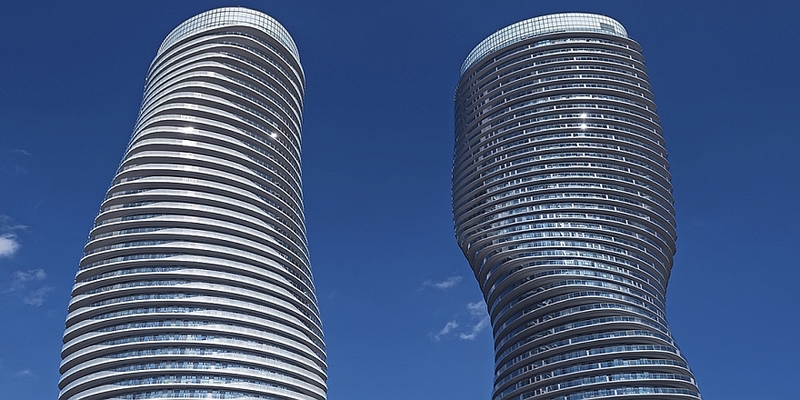 Square One condos form more than 70% of high rise condominium inventory in Mississauga. They are located in Mississauga City Centre area, also called Downtown Mississauga. SQ One condos are surrounded by many amenities, major transportation hub, Ontario's largest shopping mall, Sheridan College, City of Mississauga Office and the Living Arts Centre, to name a few. You will find a good choice of newly built condominiums at Mississauga City Centre. Central Erin Mills also offers some great low rise condo townhouses and a few high rise condominiums. It boasts of a good school school district, namely, John Fraser Schools family of schools. Central Erin Mills condos are very popular with young families with school going children. Meadowvale condos are north of Central Erin Mills. Here you will find many older condominiums. These days many first time buyers and investors are buying these condos in Mississauga to renovate to live or rent out. Hurontario condos are close to Downtown Mississauga and also offer a good mix of new and old condos near Hurontario and Eglinton. Erin Mills condos are close to University of Toronto Mississauga (UTM). There are some nice high rise condos, newly built boutique style condos and many condo townhouses in Erin Mills. If you are looking to live close to Lakeshore Blvd. and want easy access to Downtown Toronto, look at Port Credit condos and Clarkson condos. If you are looking for newer condos then Churchill Meadows neighbourhood is worth exploring. Churchill Meadows condos come in many shapes and sizes, like; stacked style condos, boutique style low rise condo apartments and free standing traditional condo townhouses. If you are looking to buy a builder new condo in Mississauga that is currently under construction or will be ready in a few years, then buying with a VIP Realtor makes sense. Team Amit Kalia is a VIP broker at most new development condo projects in Mississauga, and we can help you buy at the best prices and terms. You can register with us to receive floor plans, VIP terms and price lists for many Mississauga new builder condos. See how much your condo is worth in today's market? We Give 30 Days SOLD Guarantee! We offer a proven marketing strategy to sell Mississauga condo in 30 days or less. As per TREB 2015, 2016, 2017 & 2018 stats, Team Kalia is among top 1% Realtor by number of transactions in Mississauga & Square One area. Our business is based on goodwill and trust working in the Mississauga condo market since 2003. We specialize both in selling resale and assignment condo sales in Mississauga. Our local RE/MAX office presence at the Square One Mall makes it convenient for us to serve clients and condos at Square One and elsewhere in Mississauga quickly and efficiently. Contact us for a FREE Home Evaluation for your Mississauga condos for sale. Thinking of Buying or Selling a Mississauga condo? 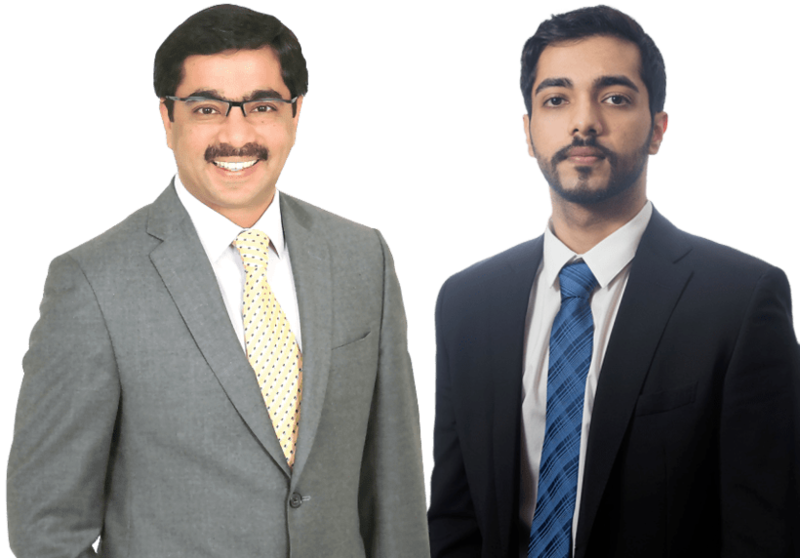 Contact Amit Kalia's Team Today!